Perfect gift to make before the Holidays. 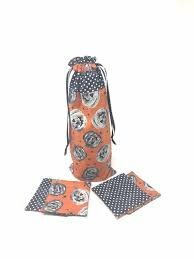 In this class, you will make a wine bag and a set of coasters. You can make your coasters square or round, you choose!